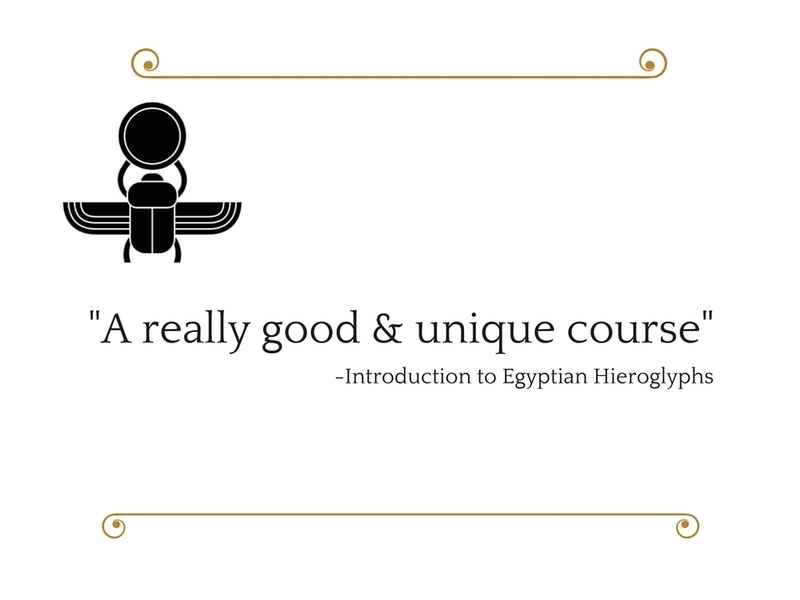 Upcoming ancient Egypt courses with HieroEducation - learn hieroglyphs and more. We will be advertising new courses shortly. If you're not already on our Mailing List, then sign up now (see below) for advance notice of new courses, plus fantastic discounts and special offers. Check out some of the wonderful feedback we've had from students - we're blushing! Thank you for subscribing - you can look forward to receiving your first mailing from us very soon! Learn Egyptian Hieroglyphs with our Introductory Level course, suitable for beginners and returners to the study of hieroglyphs. This course will take you from the very basics of reading Egyptian hieroglyphs, through the fascinating world of the Offering Formula, reading cartouches, and all the way to reading monumental texts! Interact with other students on your course, join in with the weekly Live Class (evenings), take fun short quizzes to test your knowledge, and unlock the pyramid by collecting badges. Each week you'll be given access to new video lectures, quizzes, resources and flashcards, all delivered in our online classroom. You'll have access to our online Sign List and Dictionary throughout the course, meaning that all the materials you'll need will be provided online. 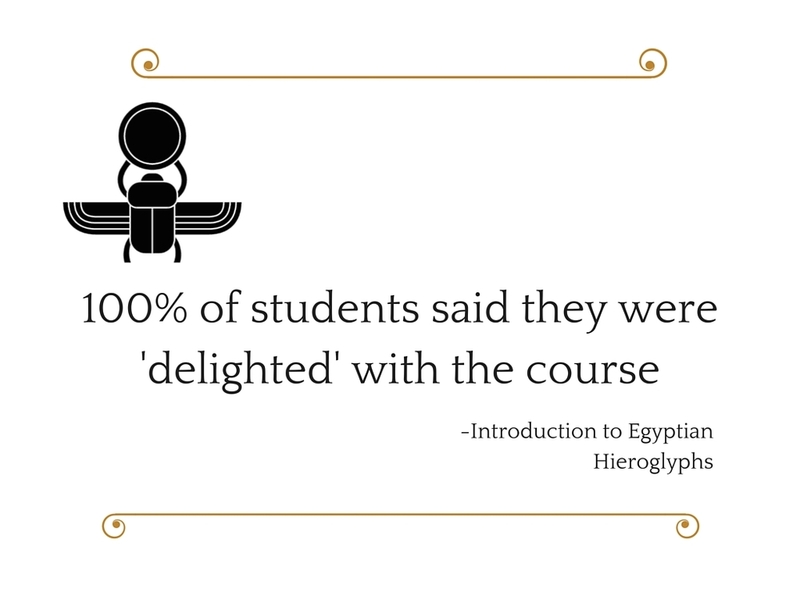 As with the Evening Class above, you can learn Egyptian Hieroglyphs with our Introductory Level course, suitable for beginners and returners to the study of hieroglyphs. This course will take you from the very basics of reading Egyptian hieroglyphs, through the fascinating world of the Offering Formula, reading cartouches, and all the way to reading monumental texts! Interact with other students on your course, join in with the weekly Live Class (afternoons), take fun short quizzes to test your knowledge, and unlock the pyramid by collecting badges.